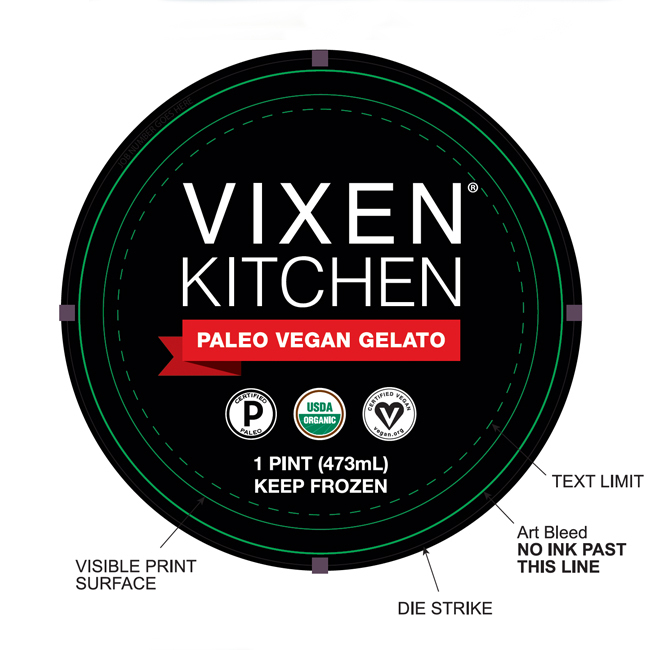 Updated original Vixen Kitchen Gelato packaging with bolder fonts and a new background. 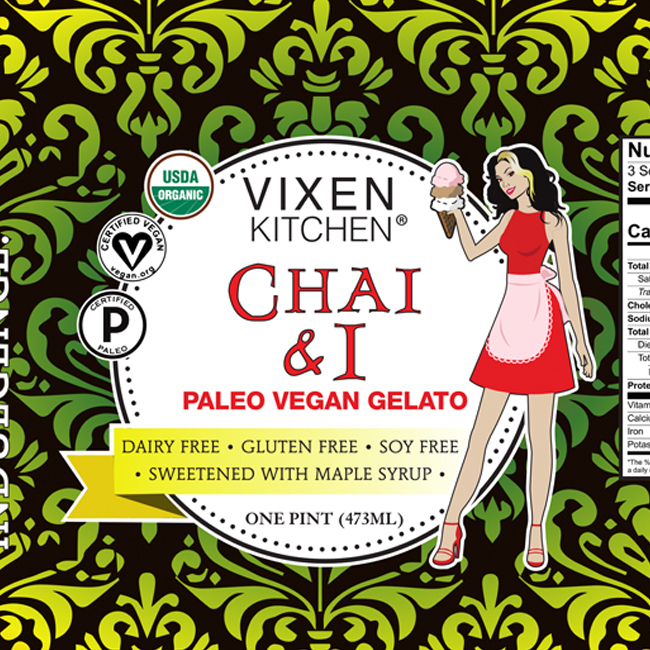 Vixen Kitchen is Northern California’s locally made, paleo vegan gelato. 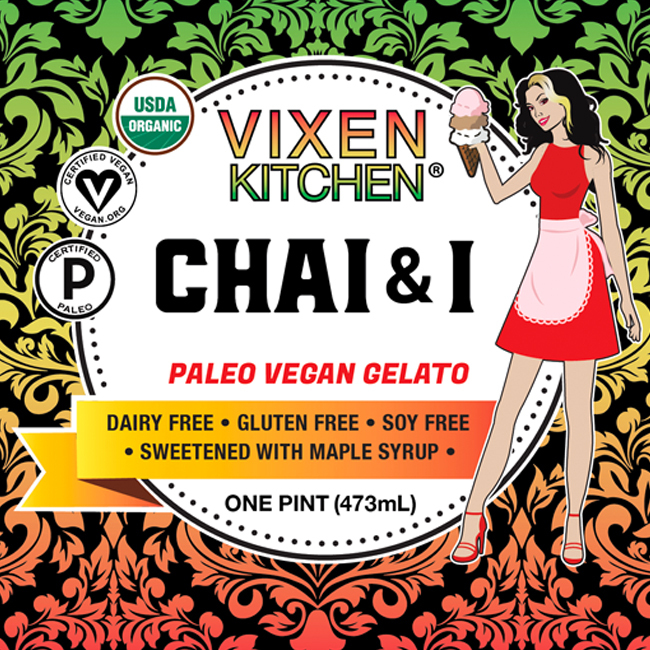 Vixen Kitchen Paleo Vegan Gelato is a labor of love inspired by my two girls Gigi and Lola. Like most kids, they love sweets. The problem came when I went to read the labels of some of their favorite treats. They were filled with junk created in a chemistry lab instead of a kitchen. 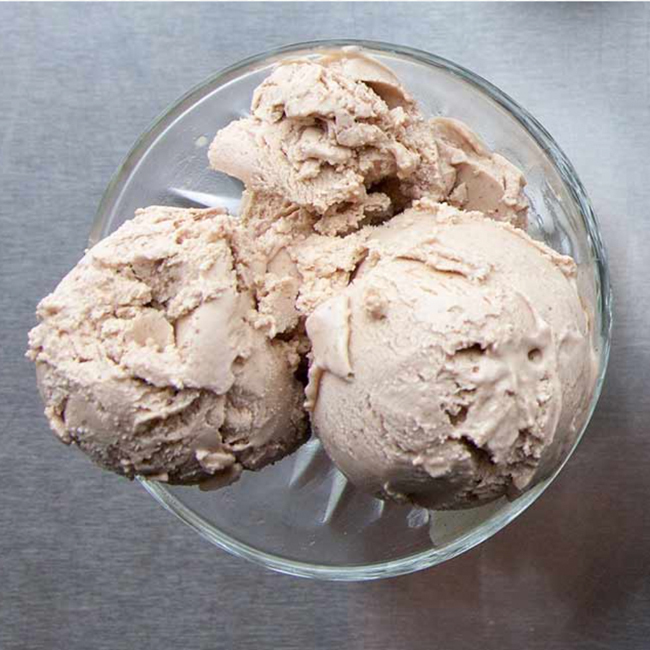 So I created this gourmet vegan gelato that I’m confident will satisfy their cravings and my high standards-It’s both delicious and nutritious. It can be enjoyed daily without guilt and its 100% organic!